Consisting of two islands, Phi-Phi Leh and Phi-Phi Don, Ko Phi-Phi is the Thailand of holiday dreams and tourist brochures. 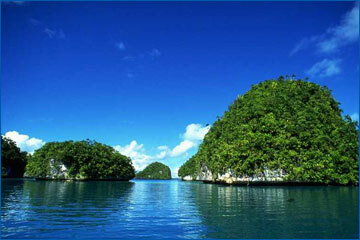 The scenic hills, awesome limestone cliffs, long beaches, emerald waters and remarkable sea and bird life are sublime, but rampant over-development of Phi-Phi Don threatens to spoil the island's riches. 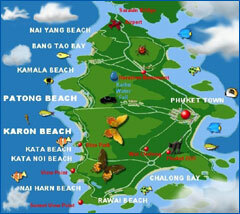 On the west coast, this large curved beach is Phuket's main tourist drawcard, especially throughout the high season (December to March). Over the last 10 years, Hat Patong has developed a seedy edge, although it's fairly mild and by day it's fine even for kids. 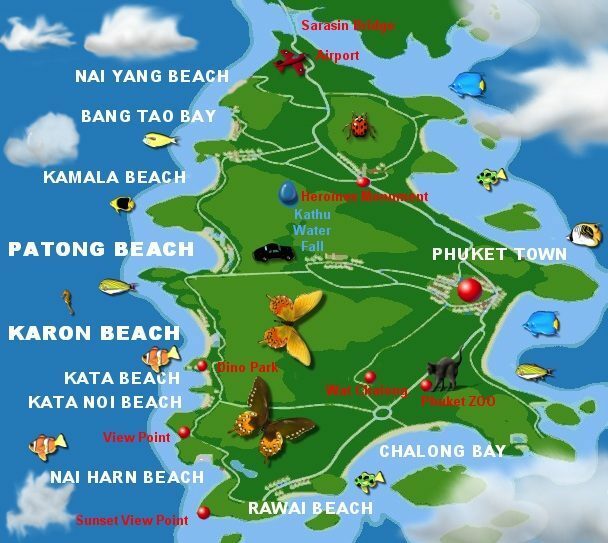 Patong is made up of hotels, upmarket bungalows, European restaurants, beer bars, nightclubs and lots of locals on the make. The beach is beautiful but far from quiet - it's lined with restaurants and stalls full of tacky or weird souvenirs. It may not be very Thai, but it can be fun in small doses.